As one of the long time clients, the University of Utah booked SLPS for their fall Crimson Nights events, run by the Union Programming Council (UPC) in the Student Union Building. This has been an annual/semi-annual event for SLPS for a number of years, and we are always happy to return and give free readings to students during the party. SLPS gives a discounted hourly rate, but the non stop lines and benefits from helping students is well worth the hours on a Friday night. Muad’Dib reading many hands from 7-1am. 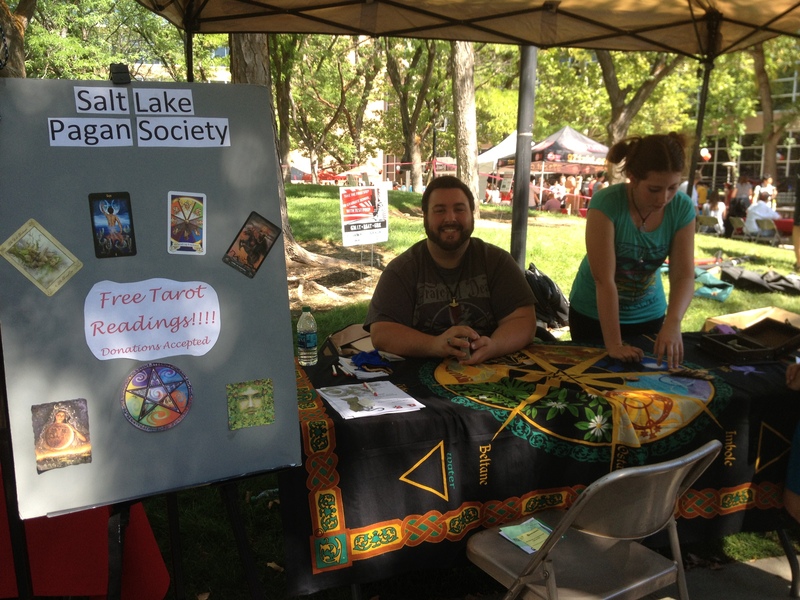 SLPS had a wonderful time reading tarot at the U of U Fall Plazafest Wednesday, August 26, 2015. Always a fun time, the students flock to the table for free readings and advice, wanting to know how their semesters are going to go. Muad’Dib and Woman Between the Wolves had a table next to the Chinese Christian Church and another Christian group who were recruiting. It rained slightly, but the clouds passed and the rain didn’t bother anyone. Serving the students is a fantastic way to perform community outreach and service, helping them set their lives in order so they can perform their best with their studies. Thanks to all who came and made the U’s Orientation events a hit! SLPS tabled at Plazafest on Thursday, August 29, 2013 doing free tarot and other readings from 10am-2pm on the west lawn of the Student Union building. SLPS got many people interested in tarot and the society itself! The Welcome Week full moon ritual had three people who got a free reading attend. 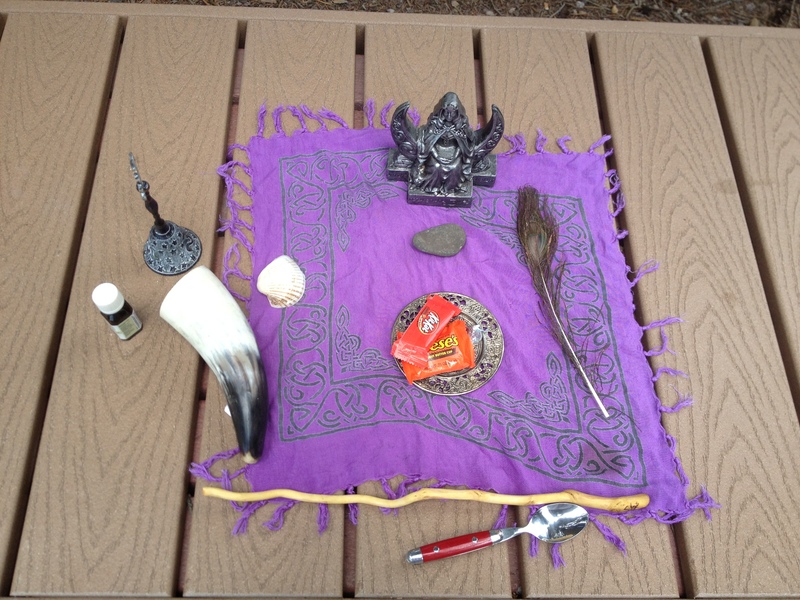 A short thirty minute ritual honoring the moon goddess was performed at president’s circle. The traditional circle was cast and the chant We All Come From the Goddess by Lindie Lila on her ablum Return Of The Goddess: Sacred Chants For Women. The Moon Goddess was happy to be present and bless everyone for the new semester! She awaits another time to return! UUPS had the great opportunity to table at spring term’s PlazaFest at the U of U on January 11, 2012. Muad’Dib and UUPS adviser Woman Between the Wolves gave away pamphlets, talked with students and had a general old Pagan time while letting others know there is a safe, inclusive environment where all can come who are seeking or interested in alternative earth based spiritualities. 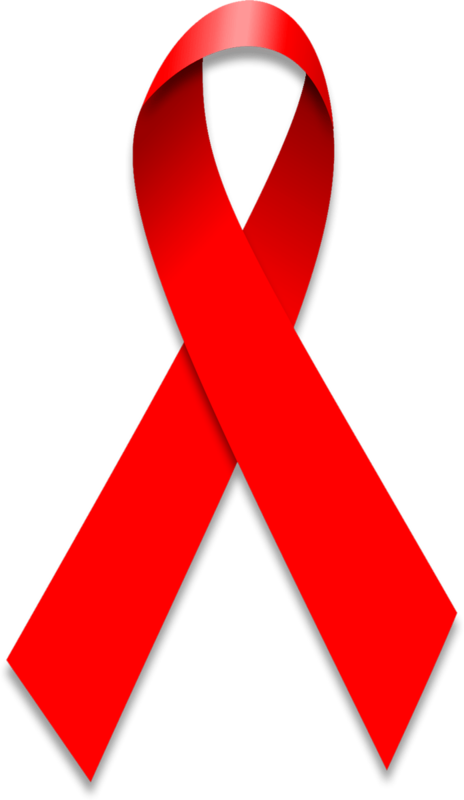 This December 1st 2010 brought UUPS the opportunity to work closely with the University of Utah LGBTQ Resource center to give time to the World Aids Day. 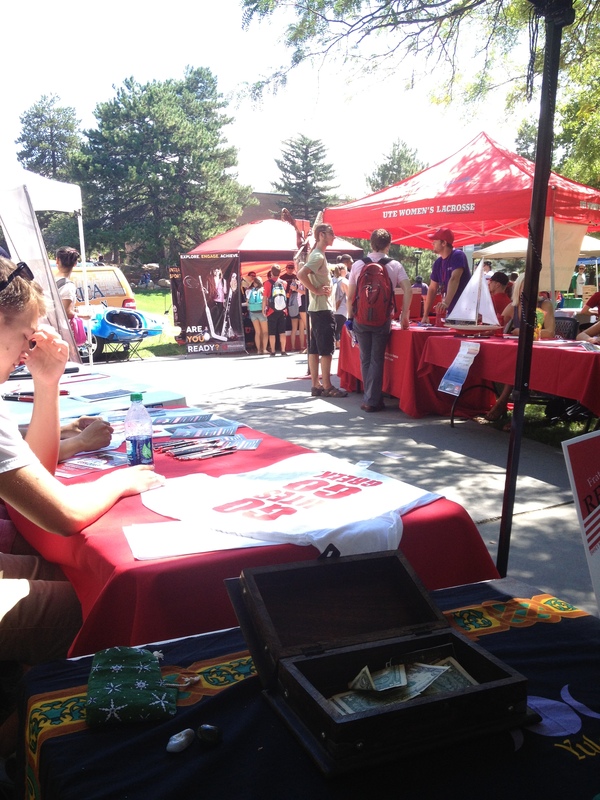 UUPS spent two hours tabling in the student union passing out information. We are proud to be allies with our LGBTQ friends and family members! Although not enough hours, its a start to a working relationship for future volunteering opportunities with the LGBTQ Resource Center and other groups and organizations under the LGBTQ/AIDS Banner. In keeping with its goal to become an official student group, the University of Utah Pagan Society had to make one very specific change: Its name. 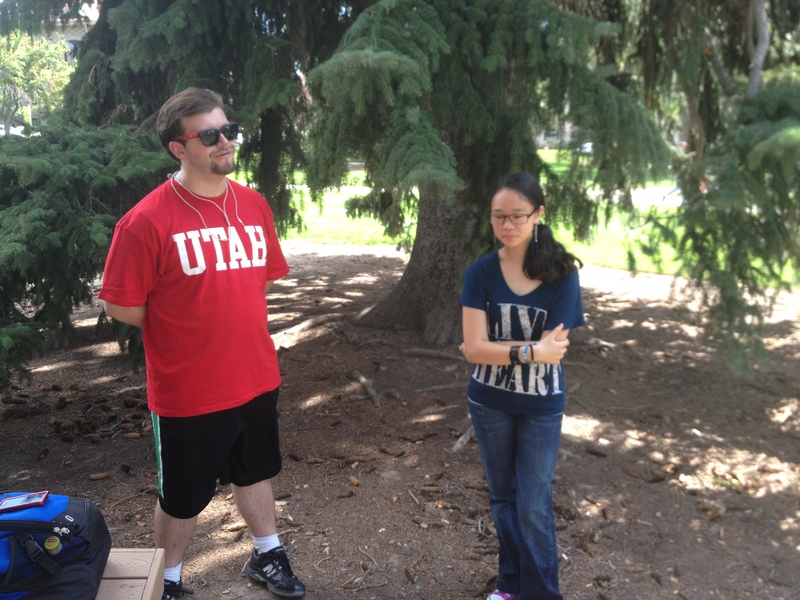 The University of Utah Pagan Society is now the U of U Pagan Society. 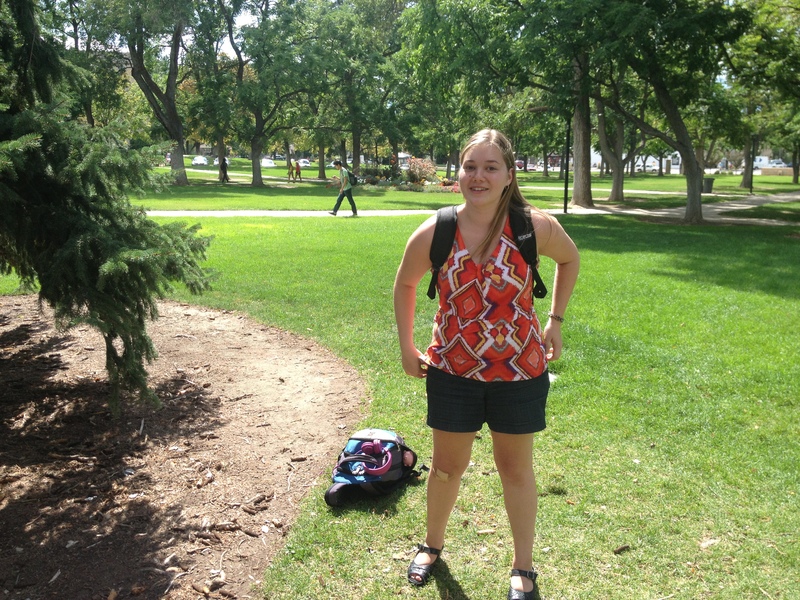 We are a new group at the University of Utah! We just finished the paperwork on October 3 2009 and are trying to get funding from ASUU. Planning is in the works. We hope to be a student group that encourages inclusive practice of all pagan paths. But who knows how it will turn out! We’ll let you know in the next few months what is happening.